Learning to code isn’t hard. There, I said it. It’s no harder than learning to add and subtract. Or a new language. Or a series of dance moves (no, I can’t floss either). Or the rules of punctuation. Or a musical instrument. But you have to start somewhere, you need to practice, and you need someone to help you along the way (*waves to teachers*). And you need motivation to keep coding when the coding gets tough (or buggy). Which is where support events and communities like Computer Science Education Week and Hour of Code can show you the the right path, tools, and skills needed to learn to code. 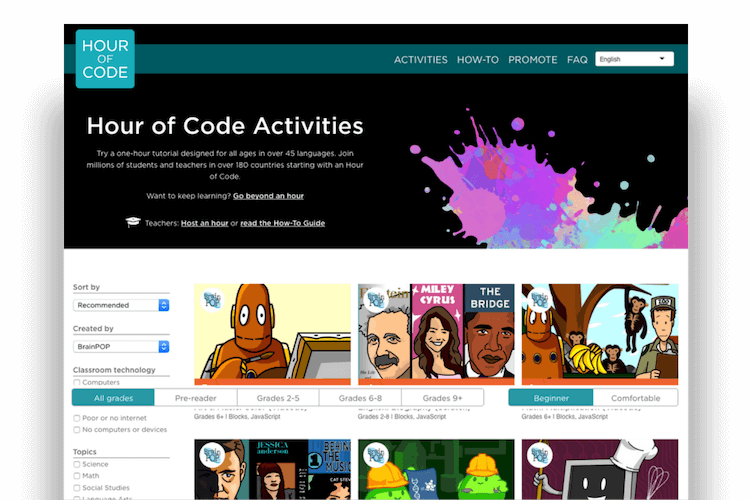 And this year BrainPOP’s Creative Coding is an official Hour of Code activity! The Hour of Code started as a one-hour introduction to computer science, designed to demystify "code", to show that anybody can learn the basics, and to broaden participation in the field of computer science. It has since become a worldwide effort to celebrate computer science, starting with 1-hour coding activities but expanding to all sorts of community efforts. For 2018 the theme is “What will you Create” which is perfect for BrainPOP students! Your students can choose a BrainPOP Scratch (block-based) or Vidcode (text-based) project for sixteen different topics across the curriculum, from Martin Luther King Jr. to DNA to Food Chains. All available for FREE until December 31st 2018. Join us on Tuesday, November 27th at 18:00 EST/23:00 GMT (if you can’t make it don’t worry it will be recorded and uploaded to the Educator’s blog) to hear how Certified BrainPOP Educator Nay Belaunzarán is successfully using Creative Coding in her classroom. Nay will share ideas for how to integrate coding into your curriculum — a perfect way to gear up for Computer Science Education Week. 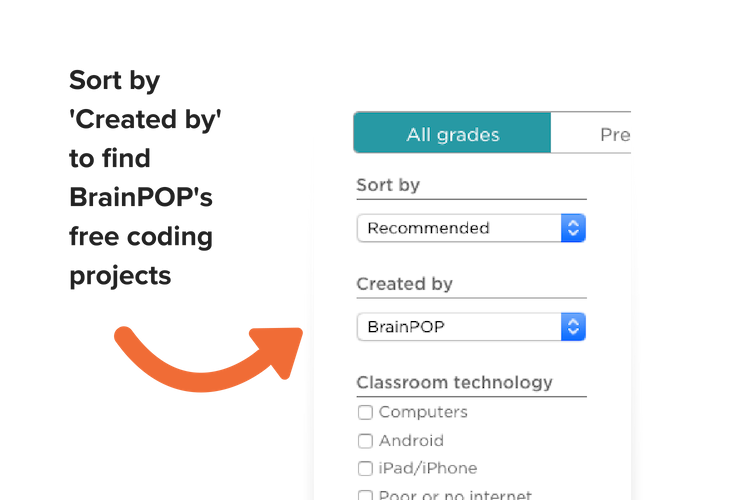 If you would like to add the full Creative Coding package to your current BrainPOP and/or BrainPOP Jr. subscription please let us know and we’ll get right back to you.